So what exactly is glaucoma? The eyeball contains a fluid called aqueous humor which is constantly produced by the eye, with any excess drained though tiny little tubes. If for some reason, this fluid cannot drain properly, pressure builds up within the eye, this is known as the 'intraocular pressure'. Glaucoma is actually a group of eye diseases in which the optic nerve (which connects your eye to your brain) and the nerve fibres from the retina (the light-sensitive nerve tissue that lines the back of the eye) are damaged by this intraocular pressure. This may be because the pressure is higher than normal, or because the nerve is more susceptible to damage from pressure. Glaucoma often affects both eyes, usually to varying degrees and one eye may develop glaucoma quicker than the other. Chronic open-angle glaucoma – this is the most common type and develops very slowly. Primary angle-closure glaucoma – this is rare and can occur slowly (chronic) or may develop rapidly (acute) with a sudden, painful build-up of pressure in the eye. Secondary glaucoma – this mainly occurs as a result of an eye injury or another eye condition, such as uveitis (inflammation of the middle layer of the eye). Developmental glaucoma (congenital glaucoma) – a rare but sometimes serious type of glaucoma which occurs in very young children, caused by an abnormality of the eye. Of African or Caribbean origin (or with very dark coloured eyes). Some people naturally have pressure that is above normal range, but this pressure does not cause any damage to their eyes. Although they do not have glaucoma, they may still be more likely to develop it. Because you often cannot feel the pressure in your eyes, and damage occurs slowly, you may not even know you have glaucoma until a great deal of damage has already been done. If you have glaucoma but do not treat it, your eyesight will gradually get worse…. This damage is irreparable, and you could eventually go blind! Remembering however that this is supposed to be an "upbeat" blog post – the good news, is that treatment as simple as eye drops, may stop it getting worse! This is why early detection is absolutely vital. Optometrists recommend that most people should get their eyes tested every two years, however if you are at risk of developing glaucoma, they may recommend more frequent NHS eye examinations. For more information about how glaucoma is detected, click here. What will happen if you do get diagnosed with glaucoma? Unfortunately, there is currently no cure for glaucoma, and although any existing damage will most likely be permanent, its progression can effectively be halted. If your Optometrist suspects that you may have glaucoma, he or she will refer you to an Ophthalmologist. If you do have glaucoma, you will be given eye drops to use every day, these will reduce the pressure within the eye(s) and help control the build-up of fluid. Don’t worry, they won’t hurt! Because you won’t feel different in any way, you won’t know if the treatment is working, but your sight could get much worse if you stop the treatment, therefore it is very important that you, a) attend your follow-up appointments, and b) keep using the drops, even if you can’t tell if they’re helping. If you find it hard to use eye drops, there are special bottles available or holders to make it easier. In a small number of cases, an Ophthalmologist may recommend that you have an operation, called a trabectome, to help drain the fluid. 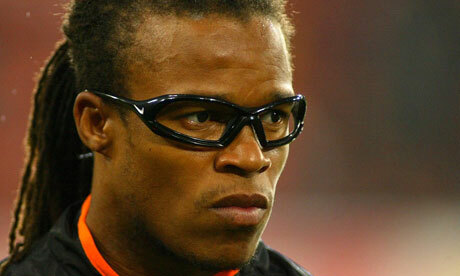 So why does Edgar Davids wear goggles when he’s playing football? 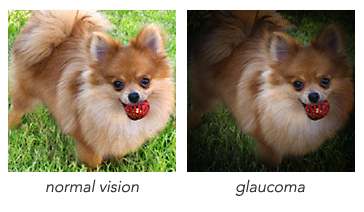 To prevent his eyes from a traumatic injury that could further raise his intraocular pressure. The point being that it doesn’t stop him doing what he loves and making a very successful and lucrative career from it! Ever wondered why U2 frontman Bono always wears sunglasses? 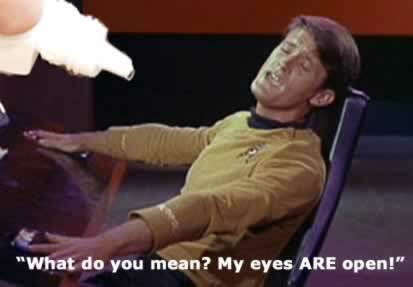 ..because he too has glaucoma! Now, I have to admit that I had to research this one – apparently, loss of contrast sensitivity, problems with glare, and light sensitivity are some of the possible effects of glaucoma that may interfere with your day-to-day activities, with some glaucoma medications exacerbating the problem even further. Sunglasses are an easy solution that can make life more comfortable, while also providing critical protection from the sun’s damaging ultraviolet (UV) rays when outdoors. See? Glaucoma hasn’t prevented Bono from being a world famous rockstar either?! 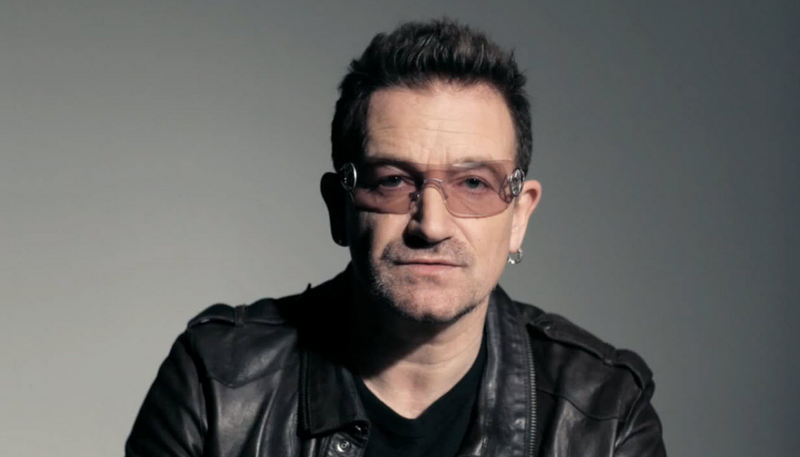 In fact, Bono is so rarely seen without his trademark sunglasses, that he was the perfect “celebrity ambassador” to front Revo’s brand campaign: “Buy Vision, Give Sight”. The legendary rockstar has created his own line of luxury sunglasses for the brand – for which he also features in their advertising campaign – $10 from the sale of every pair will go towards helping those fighting for their sight around the world. The creative collaboration hopes to raise $10million to improve access to eye screening, prescription glasses and eye health care in under-resourced communities, in a bid to combat vision impairment and unnecessary blindness. 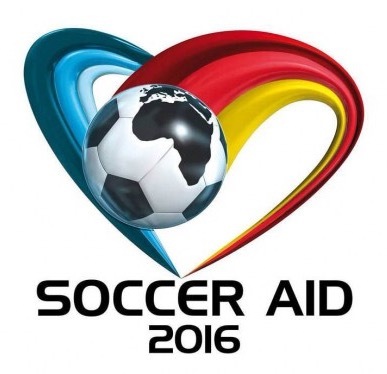 “The ‘Buy Vision, Give Sight’ campaign is a very personal one for me. Thanks to good medical care my eyes are okay, but tens of millions of people around the world with sight problems don’t have access to glasses, or even a basic eye test. Poor eyesight may not be life-threatening, but it dramatically affects your life and your livelihood if you aren’t able to fix it. What a great guy huh? 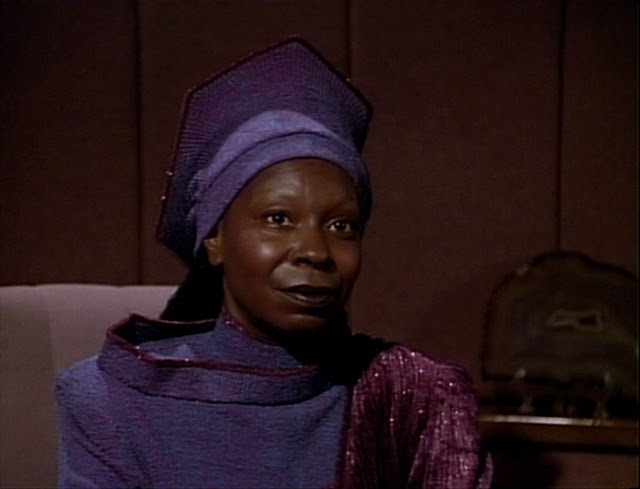 Actress Whoopi Goldberg also suffers from the condition…. Well, hopefully this has proved that being diagnosed with glaucoma really isn’t the end of the world and if it’s diagnosed early and treated effectively, you should be able to lead a perfectly “normal” life, and do whatever you want to do (within reason – bungee jumping is probably ill advised?!). However, as demonstrated in this and countless blog posts before it – early detection is the key and subsequently regular eye examinations are a must! So, if you haven’t had your eyes tested for two years or more, do so, pronto, especially if you have a parent, child, brother or sister with glaucoma! You’re not doing yourself any favours by procrastinating! Here endeth the lecture.